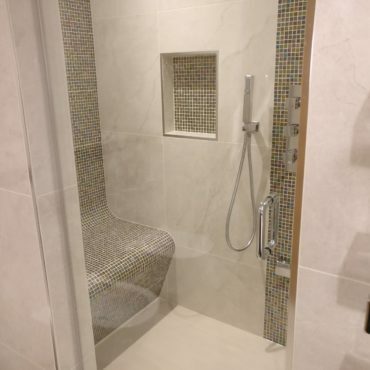 Steam room in Princes Risborough. 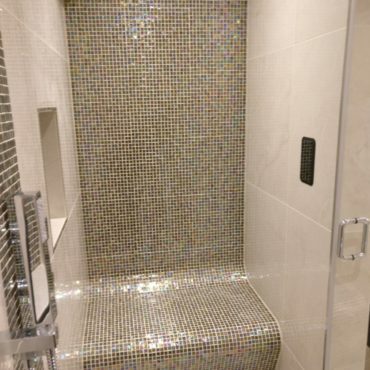 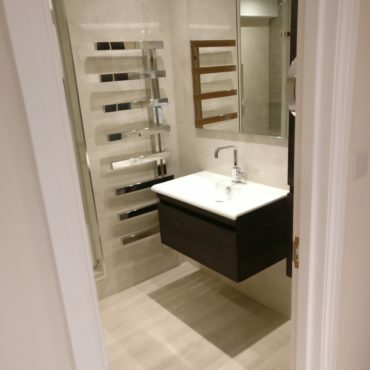 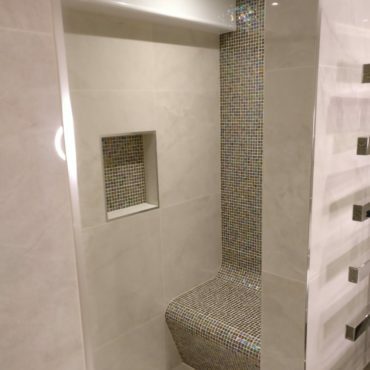 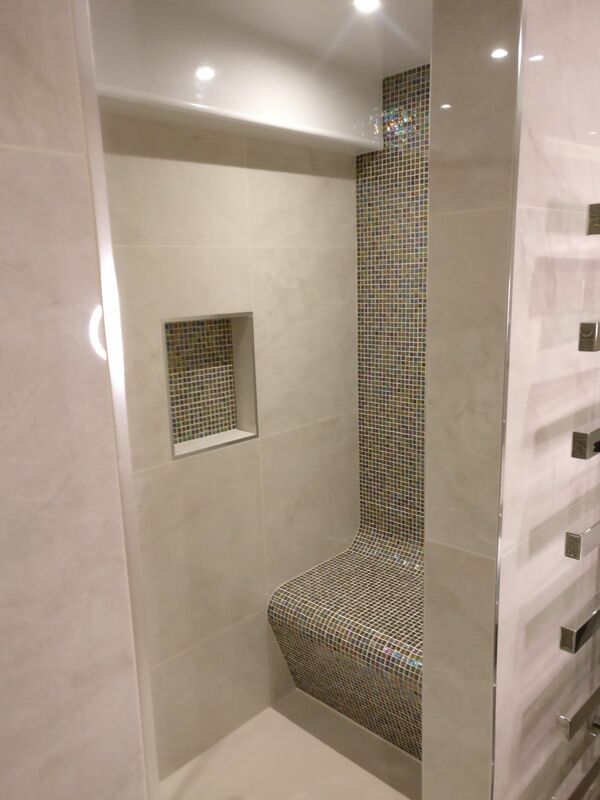 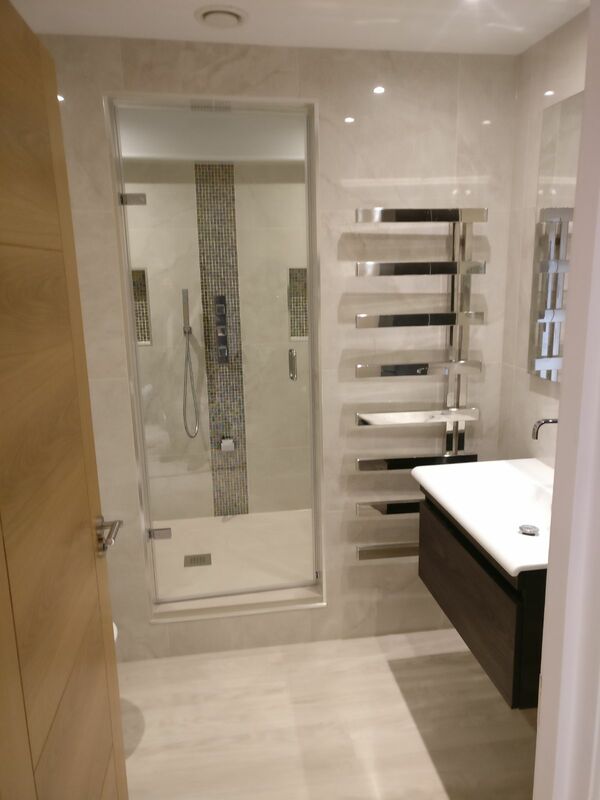 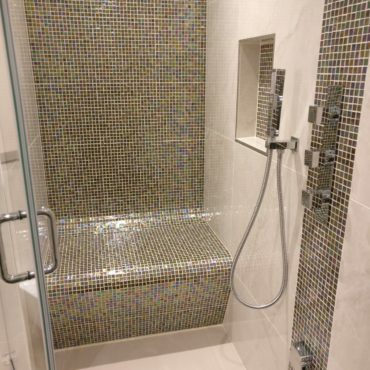 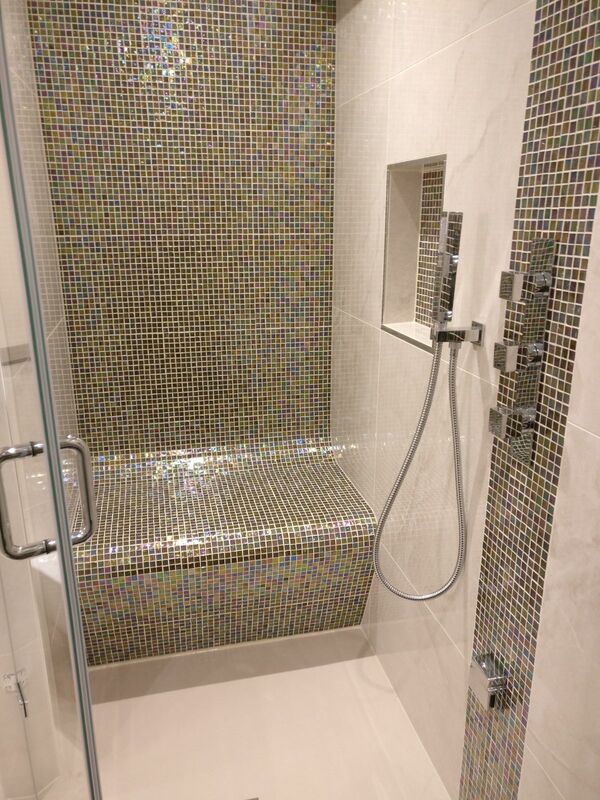 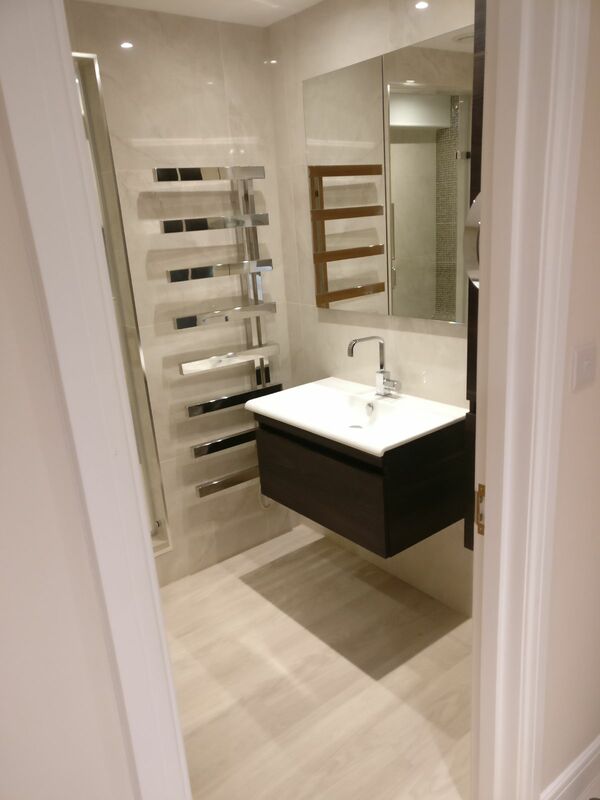 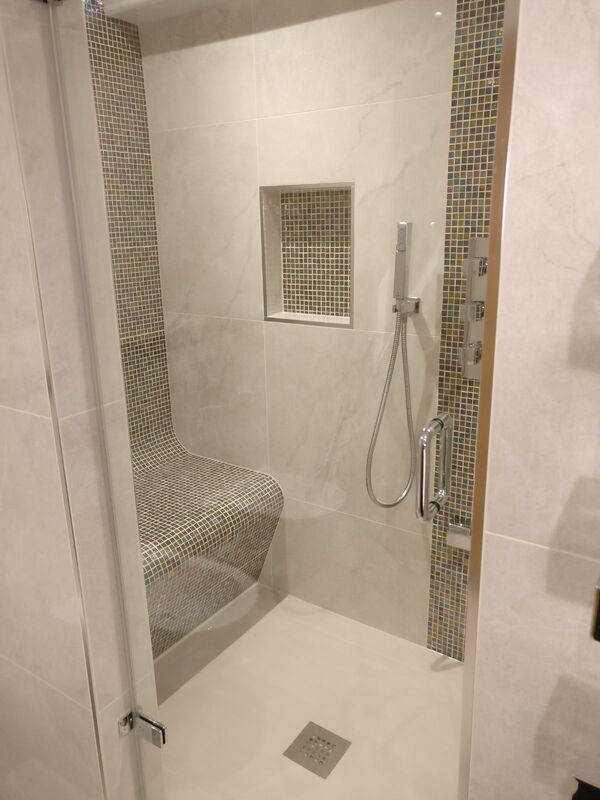 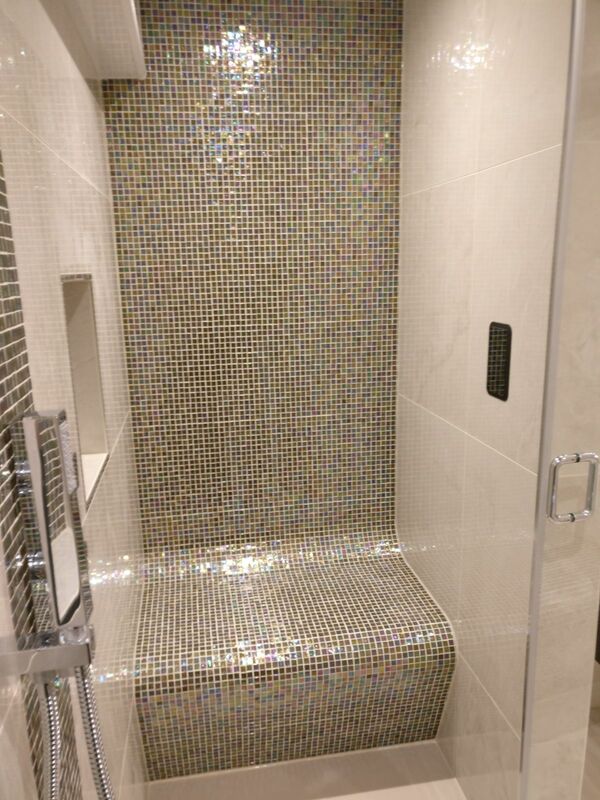 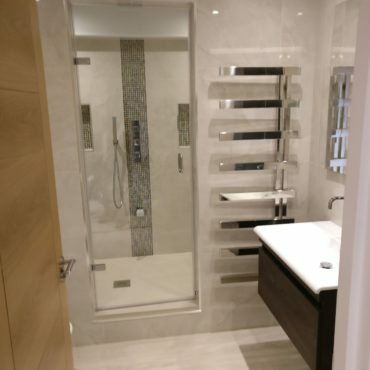 This client chose to have book end mosaic seats, alcoves for shampoo bottles and a feature strip behind the valve in their steam room / shower enclosure which provides a beautiful focal point for the room. 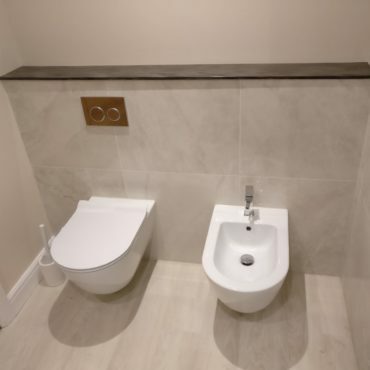 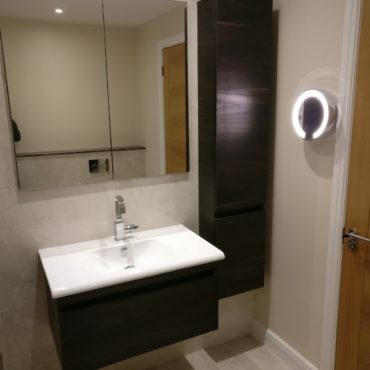 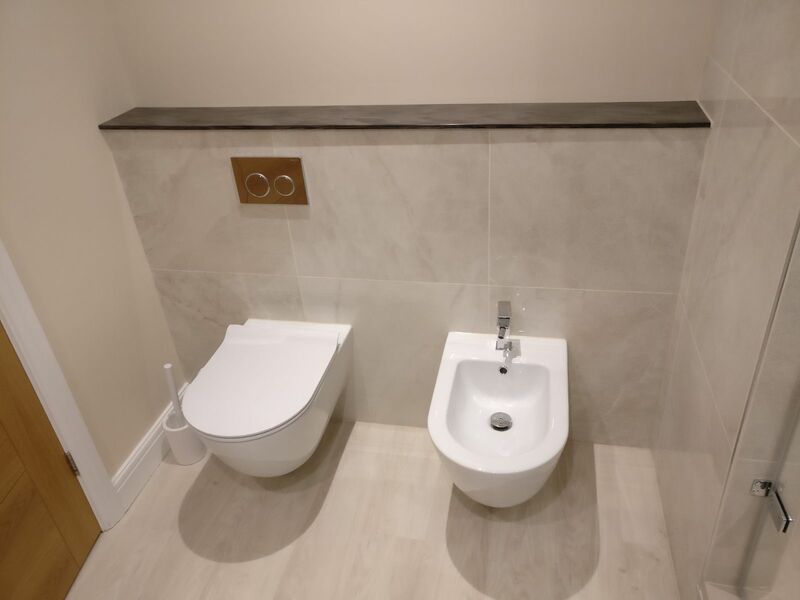 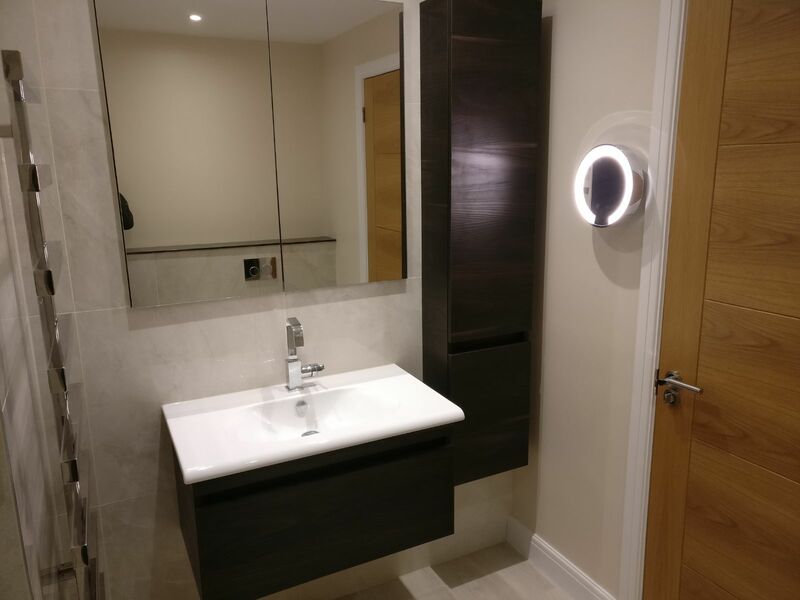 WC / bidet casing worktop in Corian, colour chosen to match wall hung units and mosaics.